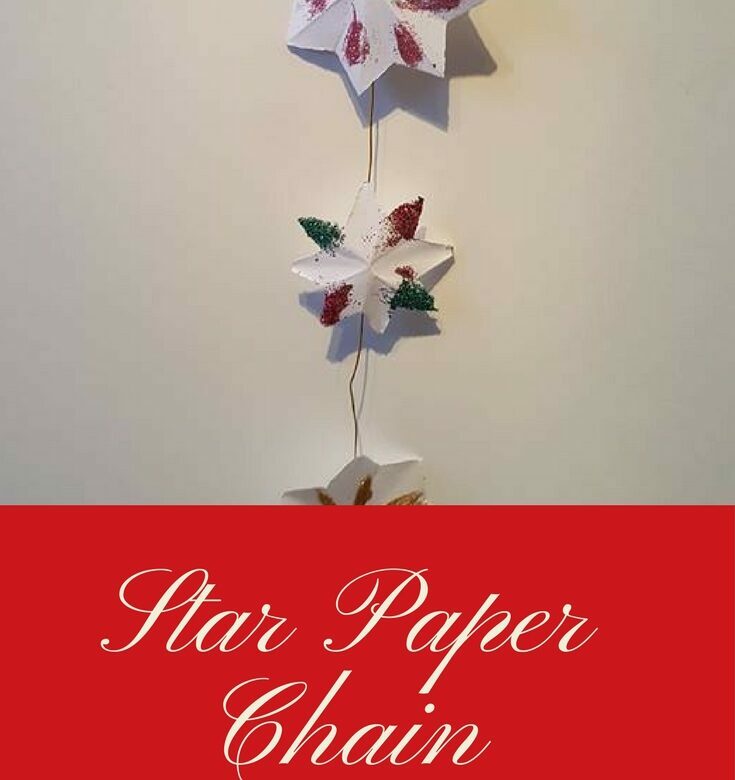 We love all things glittery and this paper star chain is no exception. It’s very easy to make and looks pretty when hanging on the wall or door. Draw around the mug on a piece of paper and cut out the circle. Fold it in half then fold it in half three more times. Draw a line at the top from corner, as in the photo and cut along this line. Open up the paper and you will have a star. Now decorate the star with glue and glitter. Stick the string to the back of each star using sticky tape. Hang on the wall or a door or anywhere you like, really! Only 2 more to go! Tomorrow we’ll be making paper plate angels.